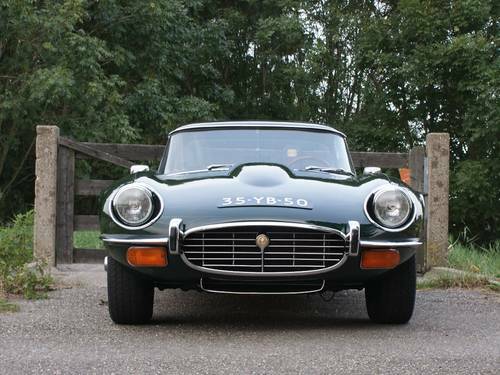 This Jaguar E-Type Series III was originally delivered into the United States of America. 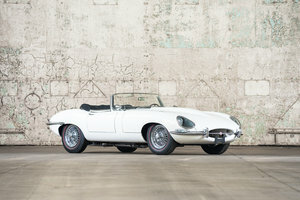 When the car was 4 years old, the car was sold to its second owner – a Mrs Betty J Walters from Johnson City, Tennessee. She had the car registered in her name on November 4, 1978. She was a very careful custodian and kept the car for almost 14 years in her possession. 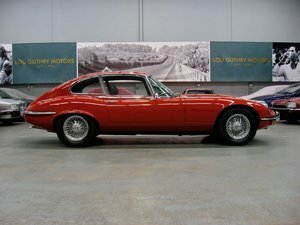 On July 26, 1988 the car was exported to the United Kingdom. 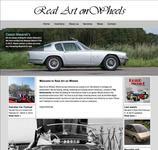 Now in hands of the third owner – a mr Andy Britton. This gentleman requested the vehicles information by Jaguar Cars Limited at Browns Lane by letter dated September 21, 1988. An old MOT certificate displaying its mileage dated April 19, 1995 at 55.312 miles. 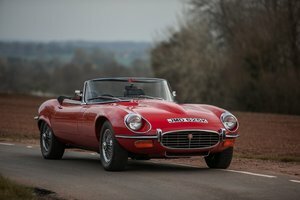 He enjoyed the car until it was sold to a Dutch enthusiast in 1995. 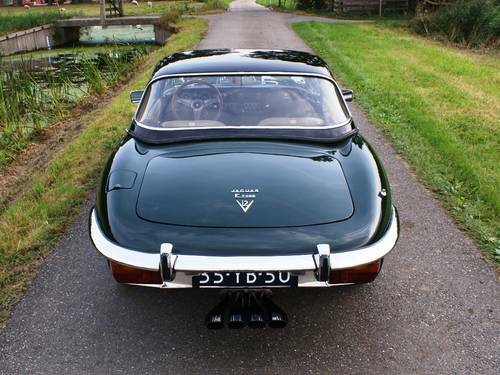 Since the car was registered in The Netherlands it was serviced at well-known marque specialist Ben Kolvenbach. Many invoices are in file (1996-2016). 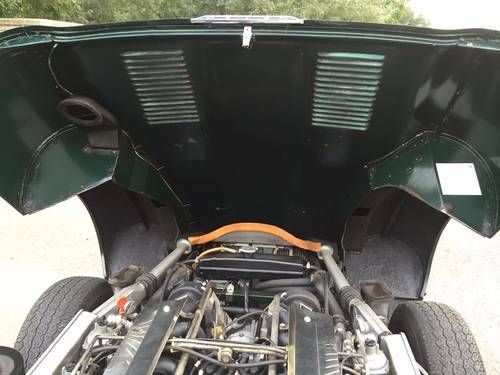 The car is partly original factory paint, has its original leather seats and carpets and a desirable hardtop. The odometer displays 67,911 miles, which is believed to be original. 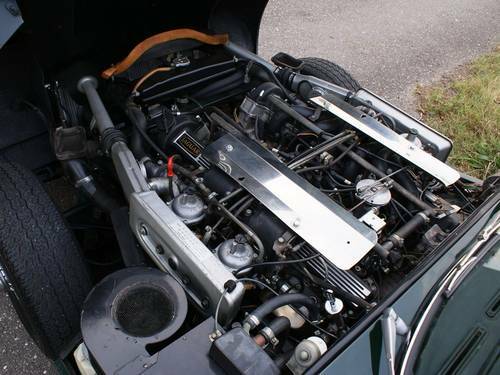 All gaps are almost perfect and the 12 cylinder engine is a great joy to drive. The car is currently registered in The Netherlands and comes with a valid APK (like MOT/TUV/CT). 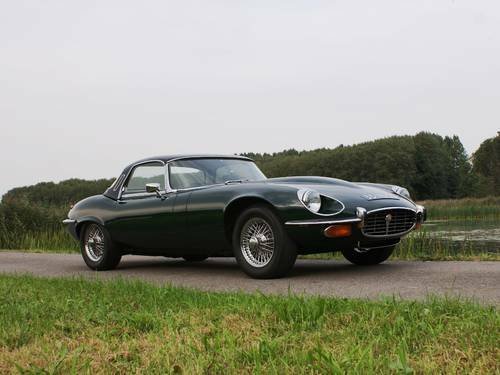 In short, this is a highly original 1974 Jaguar E-Type Series III V12 with only 67,911 miles driven since new. A complete history file is present. 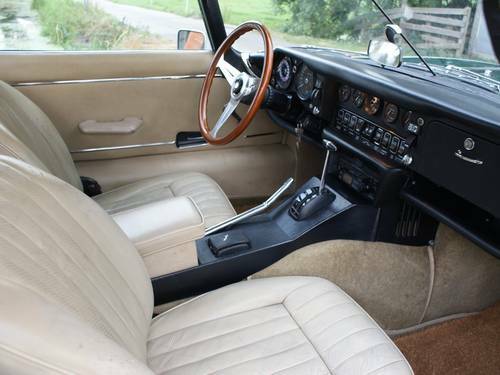 The car comes with a desirable hardtop and benefits from an original leather interior with original carpets. 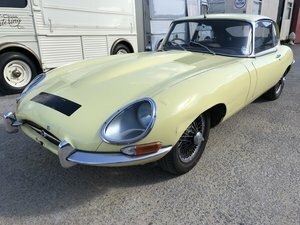 Partly original factory paint, perfect gaps and EU specs. 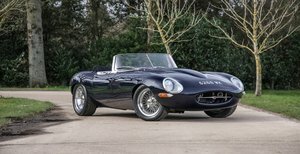 This Jaguar E-Type OTS is for sale. Please, don’t hesitate to contact us for further details.